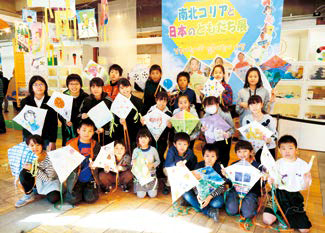 Workshops for kite-making organized in several areas of East Asia (at Boys and Children’s Library in Yanji City, Jilin Province, China) . We have held children’s art exhibitions annually since 2001, in order to contribute to peace and security in the region by connecting people to people despite the difficult relationship between countries. 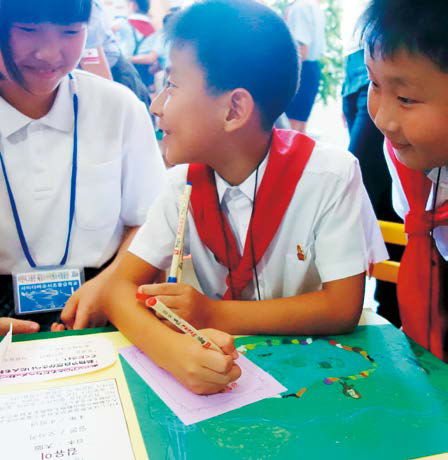 Through the exhibition and exchange of pictures and messages, drawn or written by children living in East Asia such as Japan, the two Koreas, and China, we aim to promote mutual understanding between the four nations. These events are run by an executive committee composed of representatives from 9 organizations in Japan. At the end of August 2016, a flood occurred in the Tumen River, which runs along the border between China and North Korea, and caused great damage in the north-eastern part of North Korea. We provided assistance on behalf of RCCJ through the North Korean Red Cross Society after nine year’s absence and installed solar-powered water heaters, which were helpful for children’s healthcare in the nursery school and kindergarten reconstructed in Kang’an-dong, Hoeryong City, North Hamgyong Province. 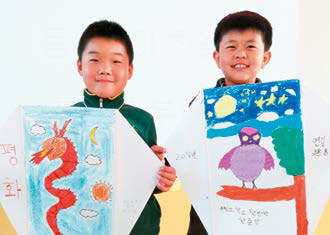 Regarding interactions made through the children’s exhibitions, we visited several places in Japan, the two Koreas, and China in order to organize workshops for making a “kite,” a traditional game common in East Asia. The completed works from these workshops were exhibited in Osaka, Saitama, and Tokyo. 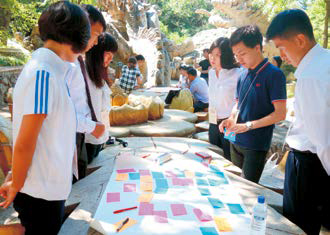 In addition, when we visited Pyongyang, eight university students from Japan accompanied us and interacted with students from the Pyongyang University of Foreign Studies, conducting a study tour in the city and attending a workshop for exchanging opinions. This year marks the fifth year of this exchange program. Through the use of discussion panels at art exhibitions and report meetings, we were able to introduce this exchange program to many people. Children attending children’s art exhibitions in Tokyo.